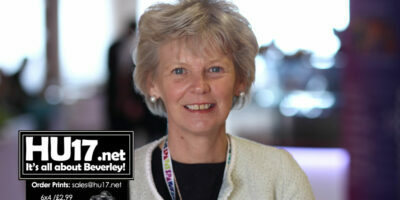 Beverley Library Archives | HU17.net – It’s all about Beverley! East Riding Libraries and Customer Services are now able to assist customers in the creation of Ordnance Survey maps, suitable for a variety of uses including planning and building regulations applications. All small building or extension projects need a detailed map of the property or site to submit to the planning authorities. 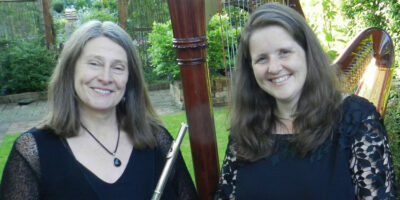 There will be a chance to join Sue Wheeldon and Rachel Jerome for Valentine’s Day when they will be presenting a programme of musical delights to welcome the spring. Their concert will be in Toll Gavel United Church, Beverley, on Thursday, 14 February, at 7.30pm. For those who received a new gadget at Christmas and need some help using it, whether a new laptop, tablet or mobile phone, East Riding Libraries and Adult Learning Centres are offering free gadget help sessions. 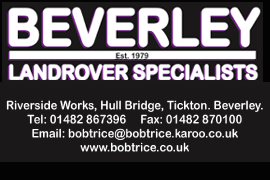 Their friendly, knowledgeable staff will help customers get the best out of their new technology in Beverley. Tickets are still available for a concert by The London Theatre Voices, who will be making a welcome return to Toll Gavel United Church. 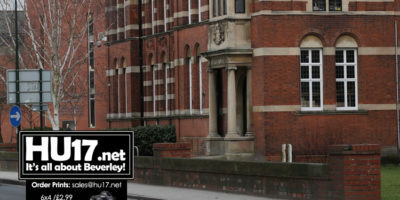 They will be in Beverley on Saturday, 12 January, at 7.30pm with An Evening of Song. A pop-up theatre production, ‘The Memory Project’ will be touring East Riding libraries in November. Smashing Mirrors Theatre will bring a touching and emotional new show to Beverley and also six other venues. Based on interviews with real East Yorkshire families. It is looking at the difficult, trying, yet often hilarious journey through dementia. Residents are being urged to enjoy National Libraries Week and pop along to Beverley Library in order and see what’s on offer. Libraries taking part this year will be focusing on wellbeing, tackling topics like loneliness and how communities are brought together. 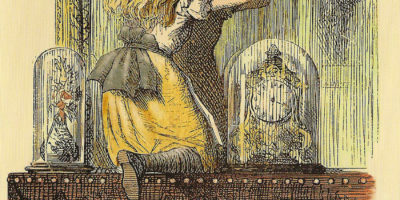 As part of Classically Yours, Alice is off on her adventures again, this time through her mirror into the whimsical Looking-Glass Land where words are backwards, time flies and eggs can talk! The concert will be a chance to join an ensemble of Britten Sinfonia players on an interactive musical journey for the whole family. 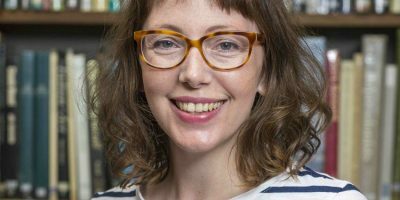 Local authors will be featured heavily in the East Riding Festival of Words – the new look literature festival coming to the area in October. 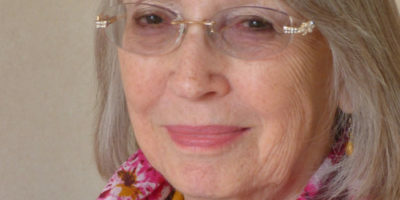 The festival will be officially launched by Val Wood at Beverley Art Gallery on Thursday, 18 October, at 7.30pm. Val will be giving an exclusive reading of her latest novel, ‘A Place to Call Home’, which will be published in November. The East Riding Festival of Words 2018 – the new look literature festival running from 18-21 October – has unveiled its exciting programme of children’s events. 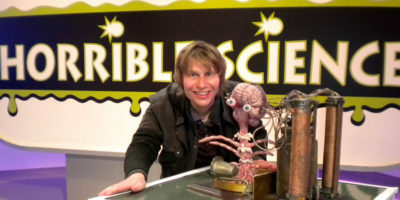 Featuring a variety of authors, energetic storytelling, and a healthy dose of toilet humour, weekend events will take place in Bridlington, Goole, and Beverley. 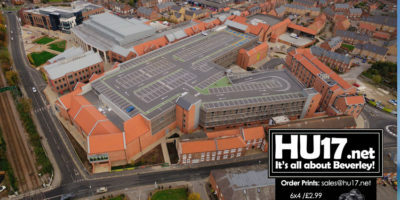 Tickets available for The Multi-Story Orchestra which will be visiting Beverley’s out of town retail Park, Flemingate. 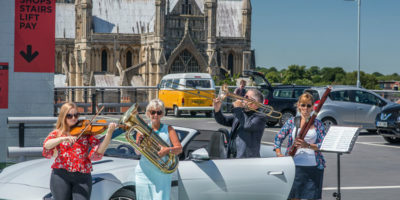 Conducted by Christopher Stark the Orchestra will be visiting the Flemingate Shopping Centre on Saturday, 8 September from 5PM with a programme they say will delight the family. 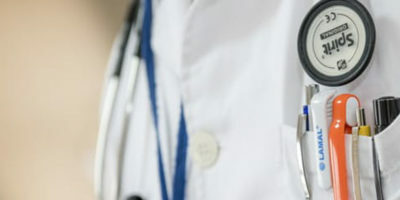 Some residents in the Beverley will be able to have a free Health Check by qualified staff from East Riding Leisure are to visit Beverley Library to deliver NHS Health Checks. On Tuesday, 4 September the team will be on hand to give people a check up in Beverley from 9.30AM to 1PM. There are still tickets available for The Multi-Story Orchestra, conducted by Christopher Stark, who will be visiting Flemingate Shopping Centre, Beverley, on Saturday, 8 September at 5pm with a programme to delight the family. The Multi-Story Orchestra, conducted by Christopher Stark, will be visiting Flemingate Shopping Centre, Beverley, on Saturday, 8 September at 5pm with a programme to delight the family. They started in 2011, presenting extraordinary performances in unexpected settings. 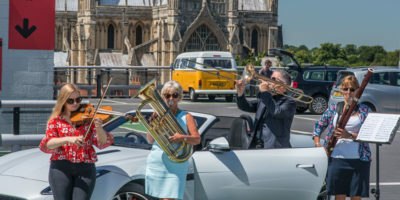 From car parks to schools and festivals, they create amazing live classical music experiences performed by incredible musicians. Classically Yours, the award-winning arts initiative launched by East Riding of Yorkshire Council as part of the Hull 2017 City of Culture year, has won extended funding from the Arts Council to continue its work to increase the amount of high quality music available in the county and to encourage more anticipation in arts and culture. East Riding Libraries and Customer Services are inviting people to join them this half term for a fun-filled, dinosaur themed, free storytime session in Beverley and across the the East Riding. 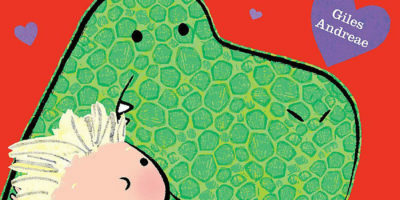 The storytime sessions will focus on the book ‘I Love My Dinosaur’ by Giles Andreae, illustrated by Emma Dodd. 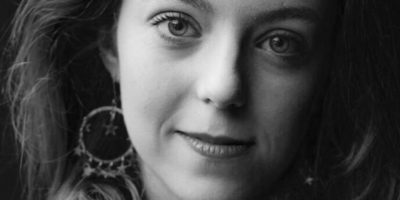 Author and performance poet Carmen Marcus will be at Beverley Library on Thursday, 5 April to deliver a Writing Workshop from 1.30pm – 3pm. She will be posing the question: “How do writers transfer their ideas to the written word?” It will be an opportunity for budding writers to find some inspiration for their own writing.